Saturday, September 26 1908 -- Herriman's final cartoon about the "Solid Three" bond-fixing scandal is fitting, as he warns that political corruption is not easily killed. Connie, November 13 1938, courtesy of Cole Johnson. When the Chicago Tribune inaugurated their new Sunday comics section in 1901, they seemed a little unsure about following the template created by the New York papers. 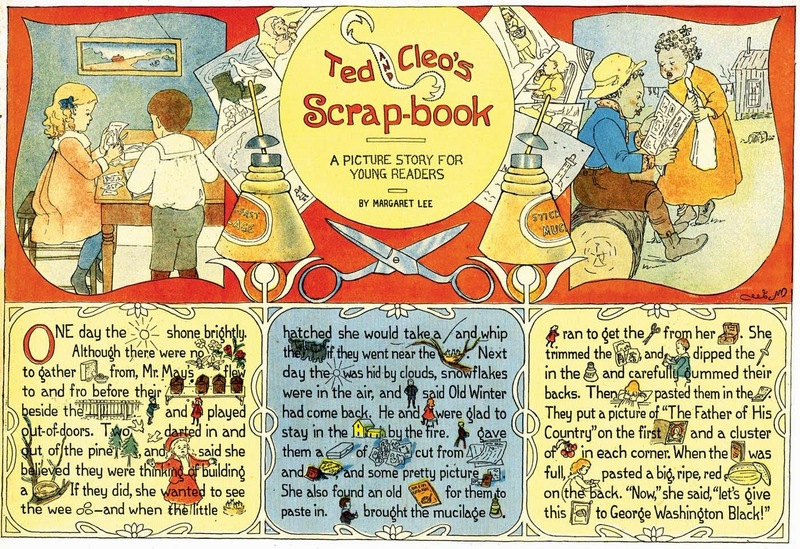 Though they did have comic strips, they also liked panel cartoons and activity features like today's obscurity, Margaret Lee's Ted and Cleo's Picture Story for Young Readers. These rebus stories (stories in which you must decode the drawings to supply the missing words) gave small kids a feeling of accomplishment at reading a story. Whether the stories were actually worth the effort is the issue, and in the case of Margaret Lee I think the kiddies were probably a little short-changed. But judge for yourself. The feature's name changed often, but almost always did star Ted and Cleo. The feature also moved around in the paper, sometimes in the comics section, sometimes on a kiddie page, sometimes on a color magazine page. In fact my start date is a best guess, because the feature moved around so often, and sometimes into sections that weren't always microfilmed. Despite all that shuffling around, the feature was tremendously long-lived for that era. It began on or slightly before December 15 1901, and ended on December 25 1904. Thanks to our late friend Cole Johnson for the samples. Amilcar Ruben Moreira aka Rubimor was born in Fajardo, Puerto Rico on July 27, 1922, according to a 1945 passenger list at Ancestry.com. Wikipedia said, “…Moreira moved with his mother to New York City when he was 4….” A record of their entry has not been found. The 1930 U.S. Federal Census recorded Moreira in Manhattan, New York City, at 2–4 West 116 Street. His mother, Josefina, a stenographer at an export house, had remarried to Juan Gonzalez, who was a laborer on the I.R.T. Subway. In the 1940 census, his mother had remarried, to Antony Cataldo, who was a mail order clerk. They lived at 914 Union Avenue in the Bronx, New York. Moreira’s name was misspelled as “Amilier Malira”. On July 26, 1945, he returned, with his mother and maternal grandmother, from Puerto Rico. Their address was 941 Simpson Street in the Bronx. Who’s Who of American Comic Books 1928–1999 said he attended Cooper Union and Pratt Institute. According to Wikipedia, his career began in 1942 in the comic book industry. 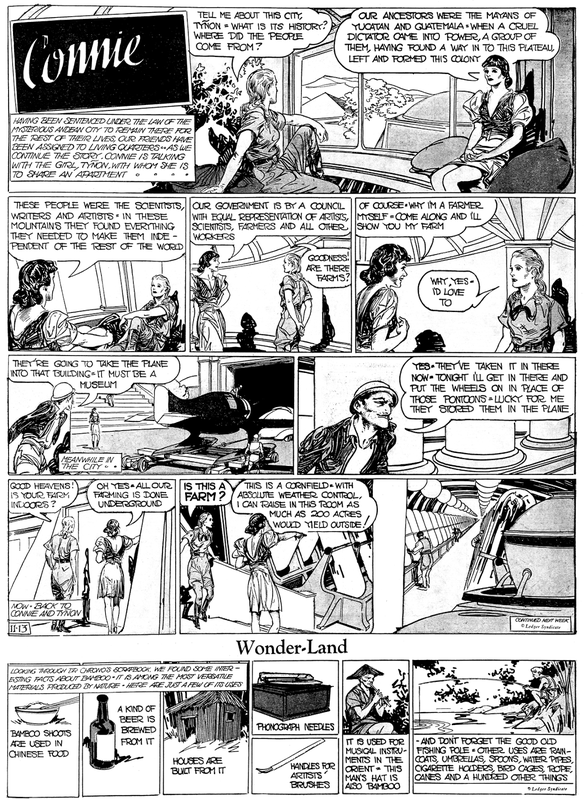 “…He took over the Tarzan sunday page from Burne Hogarth in [December 2,] 1945. 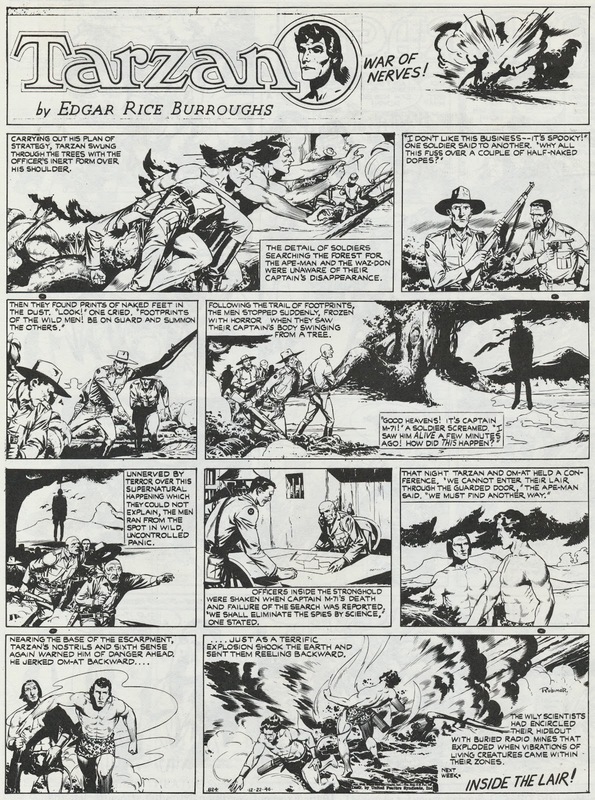 He was the sole artist and writer of it until [August 3,] 1947, using the pen name Rubimor.” Heritage Auctions has a few of his original Tarzan pages. After Tarzan, he resumed his comic book work into the early 1960s. In the book, The Life and Art of Murphy Anderson (2003), Anderson said Moreira attended the Grand Central School of Art. His comic book credits are at the Grand Comics Database. Who’s Who of American Comic Books has an overview of his career. The Workshop of the Institute of Puerto Rican Culture, organized by Lorenzo Homar in 1957 at the behest of Doctor Ricardo Alegrfa, would assume the philosophy and ideals of CAP [Center of Puerto Rican Art] and DIVEDCO [Community Education Division], thus giving momentum to the processes of engraving and silkscreening, particularly in reference to the art of the poster, the island’s most significant form of graphic expression. Freedom of expression was to characterize the evolution of the Workshop, which at different moments brought together under its aegis prominent artists and apprentices such as Myrna Báez, José Alieea, Francisco Rodón, Rafael Rivera Rosa, Luis G. Cajiga, Rubén Moreira, Antonio Martorell, Rafael Tufiño, José Rosa, Luis Alonso and Jesus Cardona. An undated Moreira poster is at Puerto Rico 1952–85 in Posters. The Catalog of Copyright Entries: Third Series, Volume 18, Part 1, Number 2, Books and Pamphlets July–December 1964, named him as a contributor to Heroes in Fact and Fable, which was produced by the Puerto Rico Department of Education. Moreira passed away in May 1984, in Puerto Rico, according to the Social Security Death Index. Moreira also did the cover pencils and the art in Showcase No. 9 starring Lois Lane (1957). It's worth looking up -- he was a great artist! I discovered him on Roy Raymond at DC Comics and his covers for Jack Schiff's House of Mystery / Secrets and Tales of the Unexpected. He somehow managed to do DC covers right through 1963, apparently via the postal service. Alex, a question came up at the GCD Facebook page. In your bio bio of Ruben Moreira you mention that his mother remarried a guy called Anthony Cataldo, not an artist. Antony Cataldo is a signing artist with many credits on the GCD, some of which have been identified as having been inked by Moreira. Was Cataldo a pseudonymn for Moreira? Was there a relationship between them? Do you know? Could you find something in the records? Moreira’s step-father Antony Cataldo was born in Puerto Rico around 1914. His first name was spelled Antony in the 1930 and 1940 censuses. He immigrated to the U.S. in 1929. I did not find a New York City record of his marriage to Moreira’s mother. Also, I did not find divorce records for Moreira’s mother. And I did not find death records for Cataldo and Moreira’s mother. It’s hard to say if Cataldo had any artistic talent since his 1940 employment was department store mail-order clerk. Maybe Moreira brought Cataldo into comics. Or perhaps Moreira had some affection for Cataldo and used that name for a pseudonym. Sherrie Shepherd's Francie, which was distributed by United Feature Syndicate for a whole decade from 1986-96, probably shouldn't qualify as an obscurity with a run that long. However, despite its longevity, it never seems to have made all that much of an impression on the nation's funny pages. Such tends to be the fate of many strips that are demographically focused. While there's certainly nothing wrong with a strip about a single mother, in fact it seems like a great springboard to me, Francie's gags basically make that one fact the focus of the strip on nearly a daily basis. No doubt this was at the behest of the syndicate, who saw it as a selling point. The problem with strips focused so sharply is that readers who don't fit the demographic feel excluded. While I'm sure the single mothers in the audience liked Francie -- it was pleasantly drawn, the gags were well-delivered, and it rang true -- that particular demographic may not be populous enough to make for a hit strip. The rest of us were not given a way to get hooked. This might have been correctable if Francie and her kids had strong characterization. However, the single panel daily format is awfully limiting in that respect. Francie is the designated gag deliverer, and her two kids may as well be mutes for as often as we hear from them. Where is there room for us to warm up to these characters? 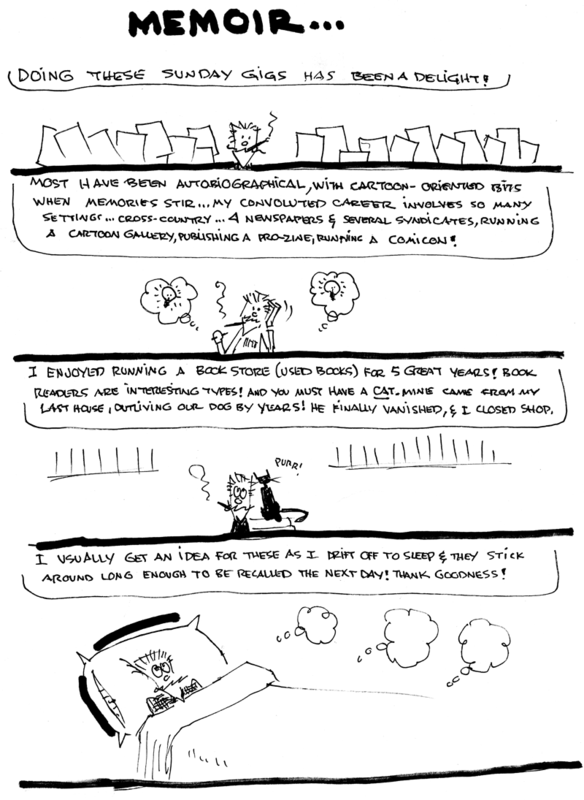 In fairness, I have to point out that I've not seen much of the Francie strip from later in its run. Perhaps these issues were dealt with, and that's why the strip ended up having a very creditable ten year run. Francie ran from September 29 1986 to August 31 1996, as a daily and Sunday feature. Creator Sherrie Shepherd has since continued in the graphic arts and cartooning, including occasional appearances as editorial cartoonist for the Arkansas Times. …J.P. McEvoy doesn’t remember where he was born—but he has been told that it was New York City and that the year was 1894. He doesn’t know whether this was a good year to be born in or not, and is glad now that nothing can be done about it. He didn’t go to school—he was dragged. This went on for a number of years, during which time McEvoy grew stronger and stronger—until finally he couldn’t be dragged any more. This was officially called the end of his education…. According to the New York Times, August 9, 1958, McEvoy was the adopted son of Patrick and Mary Anne McEvoy. The 1900 U.S. Federal Census recorded the couple in New Burnside, Illinois. He was an Irish emigrant and school teacher who came to America in 1868. She was an Illinois native. They married in 1875. A male servant was in their household. The Bridgeport Post (Connecticut), August 8, 1958, said: “…Patrick Griffin McEvoy, was a mathematical astronomer who taught for a time at Trinity College in Dublin, Ireland.” It is not known when McEvoy joined them. 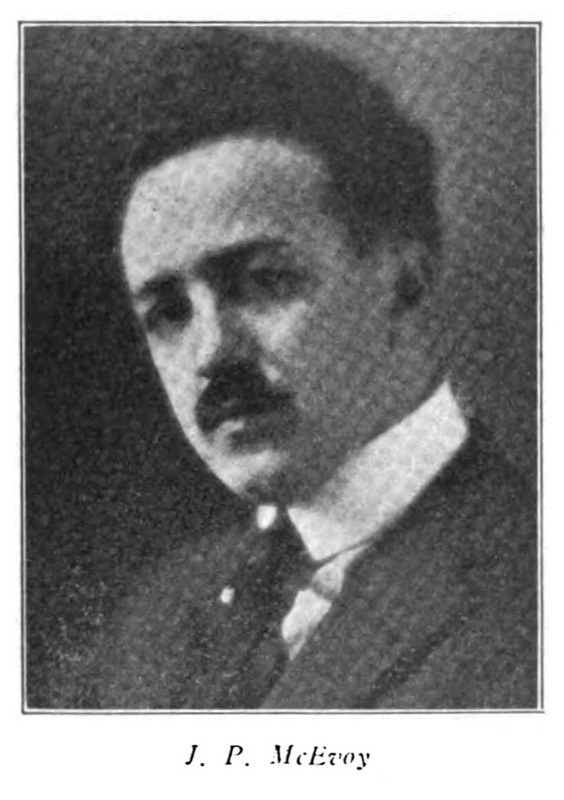 Joseph Hilliek/Hillick became Joseph Patrick McEvoy when he enrolled at the University of Notre Dame in Fall 1910. The Bulletin of the University of Notre Dame: General Catalogue 1910–1911, listed him in the section, “List of Students Matriculated During the Scholastic Year from September, 1910 to June, 1911.” Who Was Who said he was a student from 1910 to 1912. At Notre Dame, he met his future collaborator, artist John H. Striebel. Geyer’s Stationer, November 4, 1920, gave an account of McEvoy’s early education and jobs. It is interesting to take a peep into Mr. McEvoy’s past. He early acquired the art of hustling—perhaps that is why he is able now to do the work of two or three men. At Christian Brothers’ College in St. Louis he was the star bed maker. One hundred and fifty a day was his regular chore. Later, at Notre Dame University, he was a “waiter” at meal times and a newspaper man in the evenings. He worked on the South Bend News from six in the evening until two in the morning. When pay day came he required no guard to protect him—$4.00 constituted his salary! When he came to Chicago, after graduating, he obtained a position as cub reporter in the sporting department of the old Record-Herald. 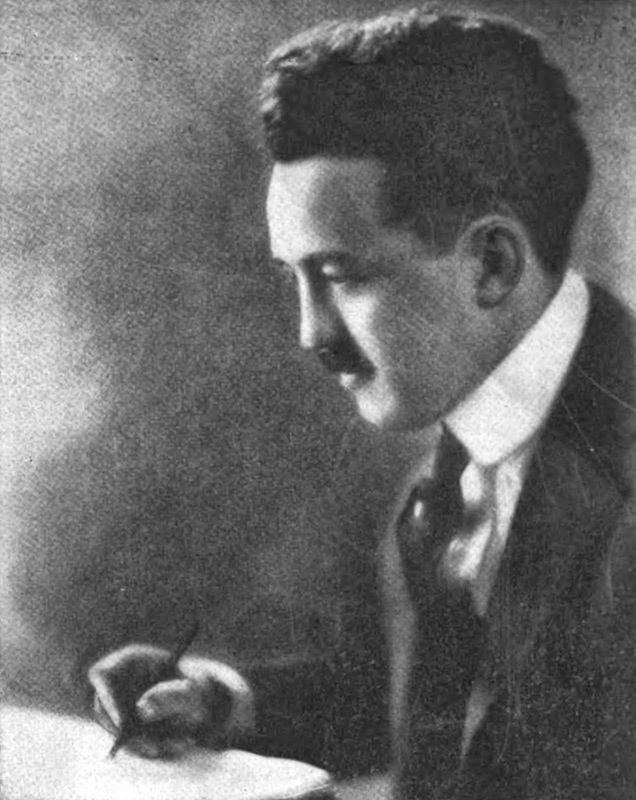 According to American Newspaper Comics (2012), McEvoy created Our Sport Movies which ran from October 1, 1914 to August 7, 1915. He was the writer on Movies of Haphazard Helen from January 3 to August15, 1915, and wrote Charlie Chaplin’s Comic Capers on September 19, 1915. McEvoy provided the plot for Marrying Off Maybelle which was drawn by Quin Hall and ran in the Chicago Tribune, from January 11 to February 11, 1916, and the Evening Public Ledger (Pennsylvania) from January 31, 1916 to February 22, 1916. The Catalogue of Copyright Entries, Part 4, Works of Art, etc. 1916, New Series, Volume 11, Number 1, listed 26 strips. The Indiana Marriage Collection at Ancestry.com said McEvoy married Mary Crotty on April 14, 1915. Crotty was previously married to Arnold Benjamin Wurnelle who had changed his surname from Wurm. Their son, Reynold Thomas Wurnelle, was born in Cleveland, Ohio and, years later, would be known as Renny McEvoy. McEvoy and Crotty, who used the surname Wurm, married again in Chicago on April 3, 1916, according to the Cook County, Illinois Marriage Indexes at Ancestry.com. The South Bend News-Times (Indiana), May 14, 1915, reported McEvoy’s visit. At some point, McEvoy left the Record-Herald for the Chicago Tribune. He was with the Tribune when he signed his World War I draft card June 5, 1917. McEvoy resided at 5841 Prairie Avenue. He named his wife and child as dependents. His description was short and stout with brown eyes and black hair. 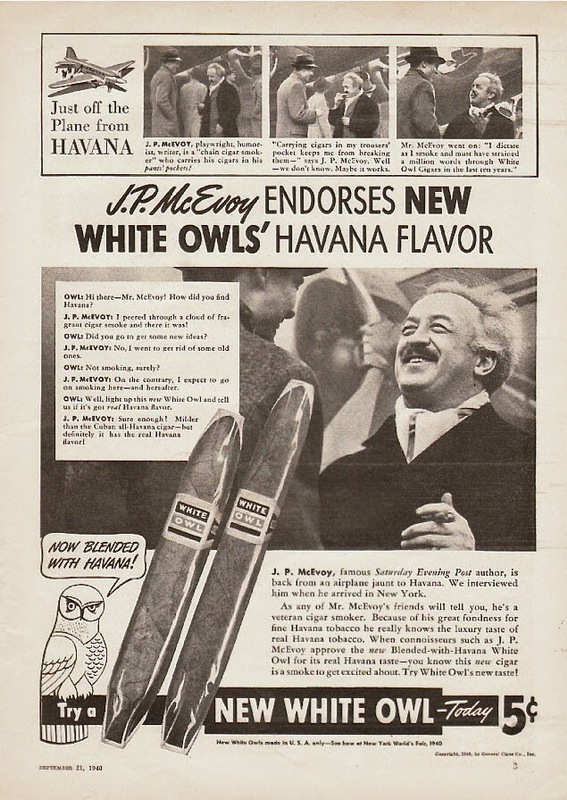 Around that time, McEvoy also served as editor at P.F. Volland Company, publisher of books, post cards and greeting cards. Geyer’s Stationer interviewed McEvoy about his work at Volland. McEvoy discussed the greeting card business in American Magazine, January 1922. In 1919, Volland published two collections of McEvoy’s writings: Slams of Life: With Malice for All, and Charity Toward None, Assembled in Rhyme and The Sweet Dry and Dry, Or, See America Thirst! 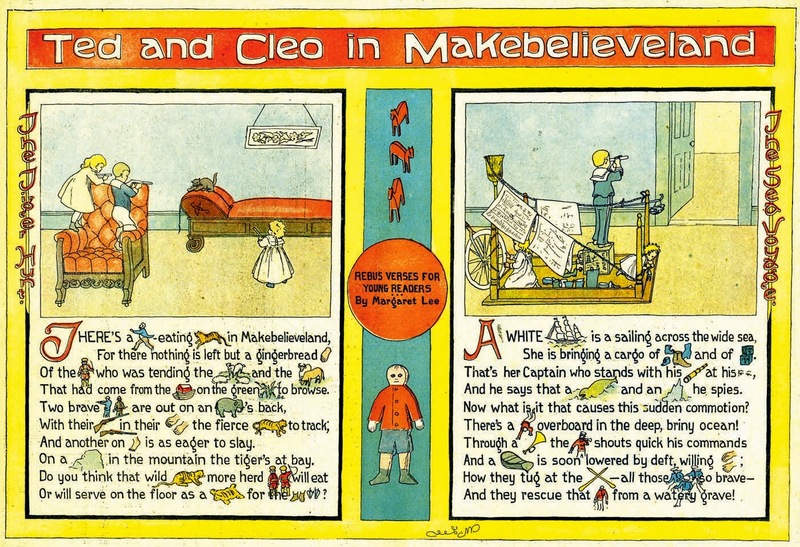 Both books were illustrated by Frank King. The 1920 census said McEvoy, a writer at the Tribune, lived in Deerfield, Illinois, at 292 Linden Avenue. His children were Dorothy, 3, and J.P., 1. McEvoy collaborated with Notre Dame schoolmate, John H. Striebel, on his family serial, The Potters, for the Tribune, which mentioned the serial in its advertisement on the cover of Editor & Publisher, April 30, 1921: “‘The Potters,’ a new weekly humorous satire in verse on married life in a big city”. The Fourth Estate, June 17, 1922, reported McEvoy’s focus on newspaper work. J.P. McEvoy, author of “The Potters” in the Chicago Tribune and of the “Merely McEvoy,” essays for Associated Editors, has resigned his position as editor of the P.F. Volland Co. in order to devote more time to his newspaper features. News of McEvoy’s marital problems appeared The Oregonian (Portland, Oregon), August 27, 1922. Chicago, Aug. 26.—J.P. McEvoy, well-known writer, appeared in the Lake county court at Waukegan Thursday with his attorney, and made charges that his wife, Mrs. Mary E. McEvoy, isn’t taking proper care of her two children on her alimony of $65 a week. He made the charges in support of his suit for divorce on a cross bill and also accused his wife of gay “carryings on” in her home at late hours after the children had been put to bed. The wife in her bill charged that McEvoy was too friendly with other women. He is reputed to be earning between $400 and $700 a week from his writings. McEvoy charges that his wife is living beyond her income. McEvoy moved to Manhattan, New York City, and married Eugenie Wehrle on February 15, 1923 as recorded in the New York, New York, Marriage Index at Ancestry.com. On August 25, 1923, McEvoy, wife Eugenie, and children Dorothy and Dennis, returned from Europe. Their home address was 225 Fifth Avenue, New York City. The Potters was adapted for the stage and was a hit according to the Tribune, December 10, 1923. Due to the success of The Potters, the New York Times invited McEvoy to write about himself. “Concerning Myself” was published on December 16, 1923. According to American Newspaper Comics, the comic strip version of The Potters was produced by L. Franklin Van Zelm in 1924. The book version, The Potters: An American Comedy, was published by Reilly & Lee Company, in 1924. McEvoy used his comics experience to write a revue called The Comic Supplement. In Man on the Flying Trapeze: The Life and Times of W. C. Fields (1999), Simon Louvish devoted a chapter on the making of The Comic Supplement which starred W.C. Fields and was produced by Florenz Ziegfeld. A photograph of McEvoy and Fields is here. 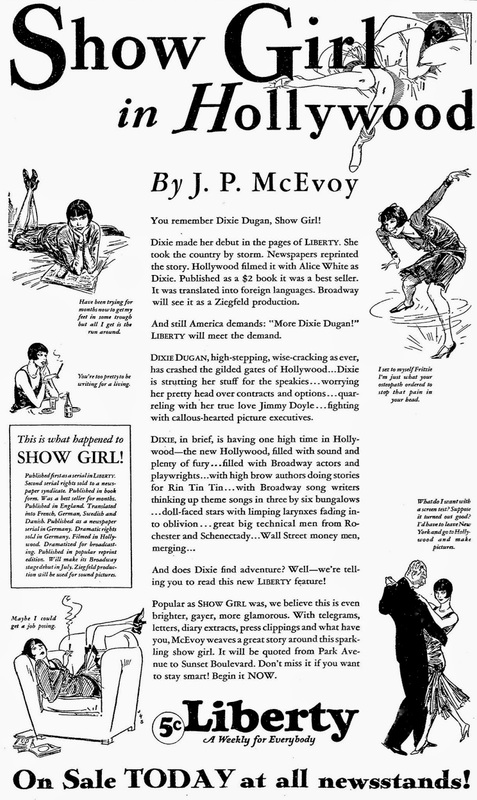 McEvoy and Striebel teamed-up again on Show Girl which was serialized in Liberty magazine from January 28 to March 24, 1928. 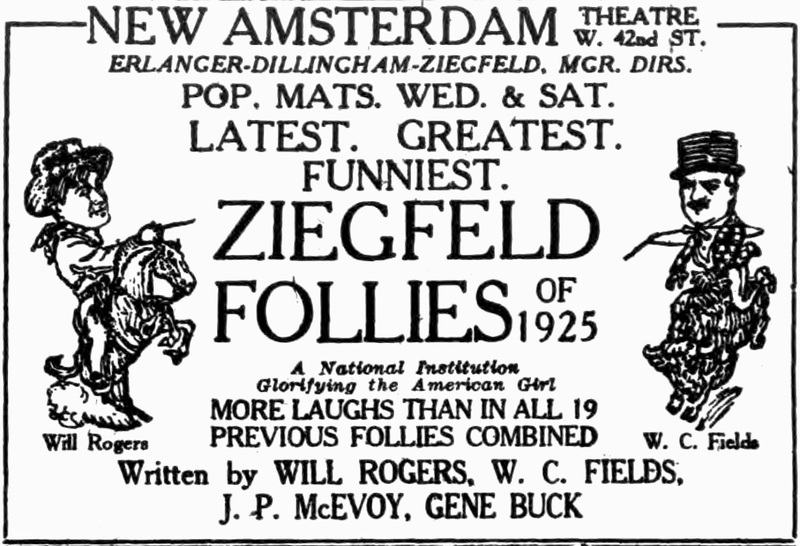 It was followed by a Show Girl novel, Ziegfeld production and two movies. The comic strip adaptation of Dixie Dugan, by McEvoy and Striebel, ran from October 21, 1929 to October 8, 1966. 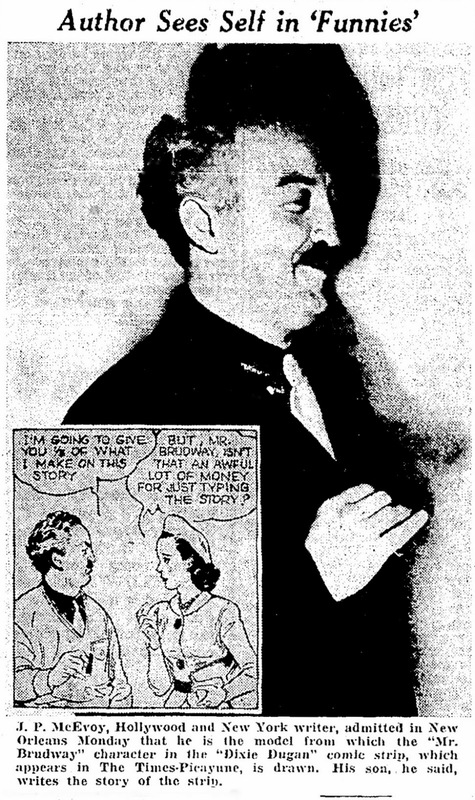 McEvoy turned up in the Dixie Dugan strip as reported in The Daily Picayune (New Orleans, Louisiana), October 17, 1939 (below). McEvoy said: “About three years ago, I turned the strip over to my son Denny and Striebel, and I’m not in it any more. That is, I’m not in the writing of it. I’m actually in the strip. Denny and Striebel made Mr. Brudway look like me as a joke. I think it’s funny, too.” American Newspaper Comics said Renny scripted Dixie Dugan beginning in the mid-1940s. The 1930 census recorded McEvoy and family in Manhattan at 5 Prospect Place. His occupation was writer of theater books. Passenger ship lists from 1930 to 1932 said his address was Woodstock, New York. In 1932, McEvoy copyrighted his book, Why I Live in Woodstock. At some point McEvoy moved to Hollywood, California. 1940 advertisement appeared in magazines and newspapers. According to the 1940 census, McEvoy and Margaret resided at Essex House, Central Park South, in New York City. The New York Times said McEvoy was a roving editor, beginning in the late 1930s, for Reader’s Digest and traveled all over the world. On May 2, 1942, the New York Times reported McEvoy’s foster mother had passed away the previous day at her home in New Burnside. The Kingston Daily Freeman, February 18, 1947, reported McEvoy’s purchase an 81-acre farm at Shady. McEvoy passed away August 8, 1958 at his home on South Mountain Road, New City, New york. 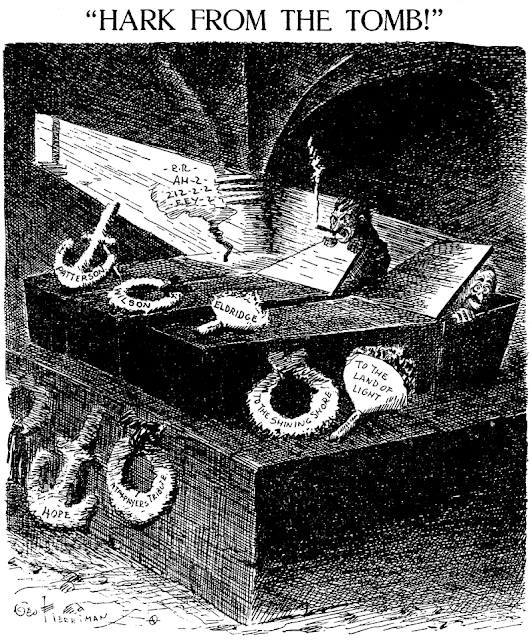 His death was reported the following day in the New York Times and Bridgeport Post. The Kingston Daily Freeman, October 10, 1959, reported the second sale of McEvoy’s estate and told of its history. The former J. P. McEvoy estate, one of the largest and most impressive properties in the Woodstock vicinity,…is located on Route 212, a short distance from the heart of Woodstock. This beautiful property consists of three dwelling units, numerous outbuildings, swimming pool, tennis courts and many other luxurious features located on some 22 acres with extensive frontage along the Bearsville Road…. …J. P. McEvoy built the fabulous estate from an humble beginning, starting in 1924 when he first came to Woodstock. The original property consisted of a small farmhouse, a garage and an old barn. In due time, McEvoy, a nationally prominent playwright and fiction writer, was to pour more than $75,000 into additions and renovations. …In short time, the burgeoning McEvoy residence was busting at the seams with a steady influx of prominent personalities from the world of art, music and letters. McEvoy...continued to make additions and improvements. …An early associate of McEvoy’s relates that during one hectic weekend almost the entire membership of the American Society of Artists and Illustrators attended a fabulous weekend party. In his constant search for one bit of space for a private studio of his own, McEvoy kept building additions that were promptly pre-empted by distinguished guests. The place just grew and grew. …The list of names who made frequent trips to visit with J. P. included the literary giants of the day, among the many who knew him were members of the famous Round Table group of The New Yorker—Dorothy Parker, Monty Woolly, Woolcott Gibbs, Franklin P. Adams and John Striebel, a budding cartoonist who went on to earn fame as the creator of the cartoon strip, Dixie Dugan. Striebel has been a resident of Woodstock for many years. …From outside the literary world came Frank Lloyd Wright, the famed architect; the great criminal lawyer. 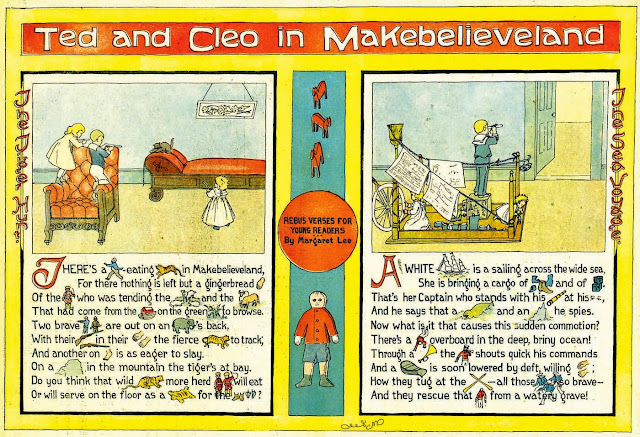 Clarence Darrow; Rube Goldberg, the cartoonist; Jeff Maccamber, a cartoonist: George Antile, noted composer who spent a whole summer in Woodstock, and many others. McEvoy’s was the social and cultural center of Woodstock, a symbol of an era that has passed forever. Some of the books McEvoy authored are here. A list of his work adapted to film is in The Complete Index to Literary Sources in Film (1999). I am a grandson of JP McEvoy and loved the tales my mom (Margaret McEvoy, child of 3rd wife) used to regale us with. Thanks for filling in many blanks in our family history!